Samwise Gamgee (b. TA 2980) was a Hobbit of the Shire, the youngest son of Hamfast Gamgee. He was a gardener like his father, and tended to Bag End when his father could no longer do so. As a result of this, he became close to Bilbo Baggins, who told him stories of his own adventures and inspired Sam’s interest in lore and his fondness for Elves. A curious Hobbit, Sam was caught eavesdropping on a conversation between Gandalf and Frodo; he was then chosen by Gandalf to accompany Frodo to Rivendell. Once there, Sam was again sent with Frodo (and seven others), this time as part of the Company of the Ring; when the Company was split, Sam alone accompanied Frodo to Mordor to destroy the One Ring in the fires of Mount Doom. Throughout their journey into Mordor, Sam demonstrated an extraordinary amount of loyalty towards Frodo, whom he had sworn to look after and protect. 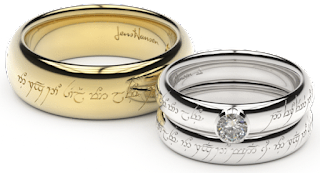 Following the War of the Ring, Sam returned to the Shire, where he married Rosie Cotton. They had thirteen children, whom they raised at Bag End (which Sam had inherited from Frodo upon his departure over the Sea). For all of his achievements and renown surrounding the events of the War of the Ring, combined with his connections and financial standing within the Shire, Sam was elected Mayor seven times (from FO 7-56). Following Rosie’s death in FO 82, Sam was allowed to sail over the Sea (he, too, had borne the Ring for a short time). In original Hobbit language, Sam’s name was Banazîr (shortened to Ban; “Half-wise, simple”). 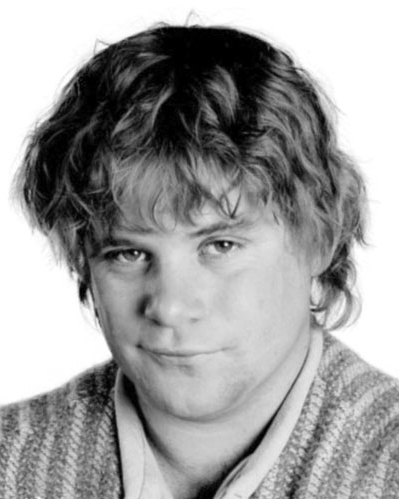 Gamgee may have been a translation of Galbasi or Galpsi (‘Game village’).